We’re sure many of you will agree that New Orleans is one of the world’s most fascinating cities – steeped in a history of global influences, New Orleans is home to a truly unique melting pot of culture, food and music. 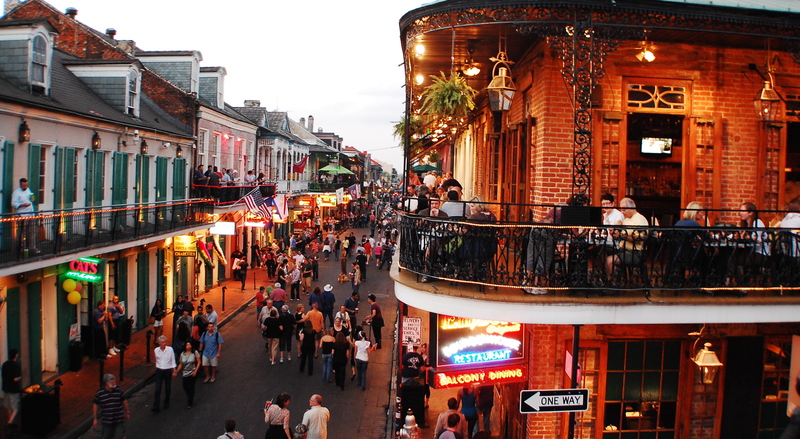 Stroll through historic neighborhoods to find bowls filled to the rim with gumbo, jazz clubs jamming until the early morning and world-renowned festivals throughout the year. Our love of New Orleans is rooted in its eclectic food: a mix of Cajun, Creole, French, Italian and everything in between. New Orleans cooks up some of the tastiest and most interesting foods around today. Drawing influences from Spanish paella, Provençale jambalaia and Italian risotto, Jambalaya is a hearty and healthy 1-pot wonder you’ll absolutely love making at home. There are as many variations to the recipe as there are home chefs, but they all start by building flavor using the region’s “holy trinity” (green peppers, onions and celery), then adding diced tomatoes, carrots and okra. We’ve opted to make our jamabalya Meatless Monday-friendly this week by subbing in meaty wild mushrooms but classic recipes often call for chicken, andouille sausage or shrimp. The best thing about jambalaya – other than being a lot of fun to say? Once you’re comfortable with the basics, venture off the beaten path with almost any veg or meat you have on hand to create a satisfying dish you can be proud to serve any night of the week.